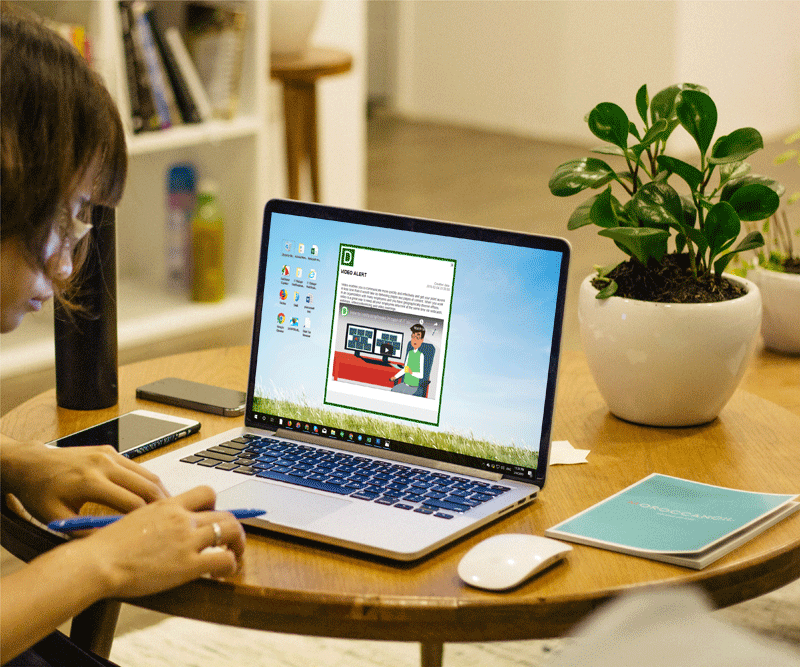 DeskAlerts pop-up messages let you quickly and easily inform your employees, clients or other people who have installed the desktop notification system. When you write and send alerts, they appear within a predefined period of time as a pop-up on the user’s screen. Deskalerts pop-up notifications are located at strategic positions on the screen and would pop-up no matter what actions are being carried out on the recipient device. This functionality makes it a must-have as information is guaranteed to get across and can’t be missed or blocked. This is especially beneficial when the important and quick delegation of tasks is in question or in the case of informing against security and emergency. As well as sending text format alerts, you can also send alerts in video format, send emergency crisis notifications or send an RSVP to employees to confirm their attendance at an upcoming event. Desktop alerts are distinctly visual messages that give the reader a sense of immediacy. This makes them powerful for pushing announcements and other information that are a high priority for your company. 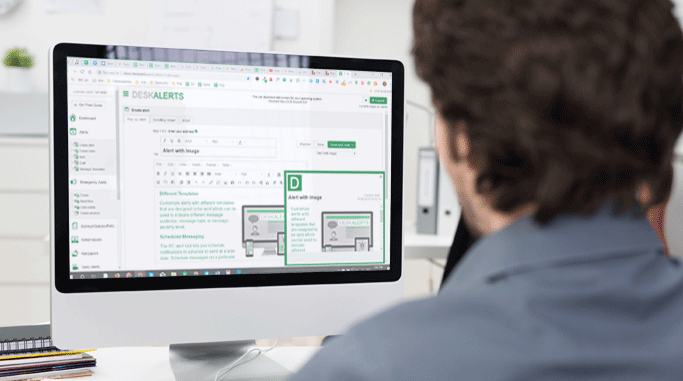 Your employees will receive DeskAlerts notifications on their computers or mobile phones via an application installed allowing them to receive these messages. This desktop alert application gives you control over how and when to send messages via an online dashboard. With DeskAlerts you're able to manage the look of each desktop alert and the content you send. You can customize alerts to set the border color, add images and multimedia, including HTML code, put in header information, set the size of the desktop alert message and even the position it will appear in on a recipient’s screen. You can utilize the SMS messaging channel to target older devices, not capable of running a mobile app. Marking an alert as "high priority" will ensure that the message is delivered even to users who have opted out of receiving normal severity messages, and, if needed, will pop up on the locked screen of a workstation. A Desktop Alert sits outside of the email system and is used to in its place to ensure that the contents of the message cannot be missed or ignored. fitted with an auto-close timer to ensure that they will stay on-screen for a limited period of time before automatically disappearing. Customize alerts with different templates that are designed to be sent which can be used to indicate different message audience, message topic or message severity level. The PC alert tool lets you schedule notifications in advance to send at a later date. Schedule messages on a particular date and time. Reporting features allow the sender to ascertain the effect of the communication. It can be used to keep track of who is attending each session. When you create notifications you can select which type of device you are sending to – when you select the “mobile” option it will send to your users with the DeskAlerts mobile application. When you select the desktop option it will send to those with the solution on their PC desktops. Notify about emergency in one click. Urgent alerts will appear ahead of any other desk messages. Synchronization across a limitless number of domains. You can determine who you send the messages to – you can send to your entire company, or just to specific groups and locations, teams or individuals.